Oh yes! One of my all-time fave British punk singles, this. I’m not being deliberately obscuritan and smug about the whole thing either, it really is. 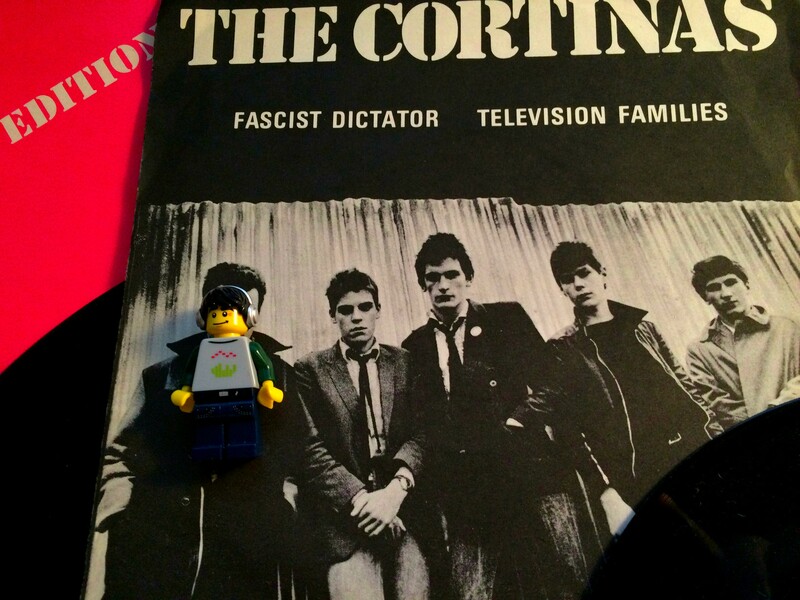 What I love about The Cortinas Fascist Dictator is, well, everything – it just embodies that whole 1976/7 explosion to me when young men (mostly), with acne and nice tight T-shirts believed they could change the world for the better with a bit of fury and a great tune, or two. They did mostly too. There’s something so wonderfully amateurish about Fascist Dictator, penned by a bunch of 16 year-old schoolboys from Bristol. It’s got the obligatory shocks and a bit of lyrical violence, brilliant revved-up rhythm and some rather ace guitaring in the middle*. It just sounds like that whole scene when a bunch of like-minded misfits could get together, make a two-chord song, sell the bass player’s motorbike – release a 7″ with the proceeds and hit the road to infamy. Just before all the poseurs and part-timers hit the scene. You can smell the adolescent adrenalin on this one. Check out the B-side ‘Television Families’, again a furious delivery, rudimentary bits of sophistication that betray their origin in (very) sped-up R&B – can’t make out a bloody word of course, but that’s not the point granddad! Fascist Dictator isn’t the point either, because it’s a 7″ that I bought back in 2007 for just a few pounds and as such can’t count towards the 1537, no matter how wonderful it is. Look, I know this is a punk thing BUT everyone knows you can’t have any fun unless there are lots and lots of rules and everything is alphabetized properly – that’s just the law! 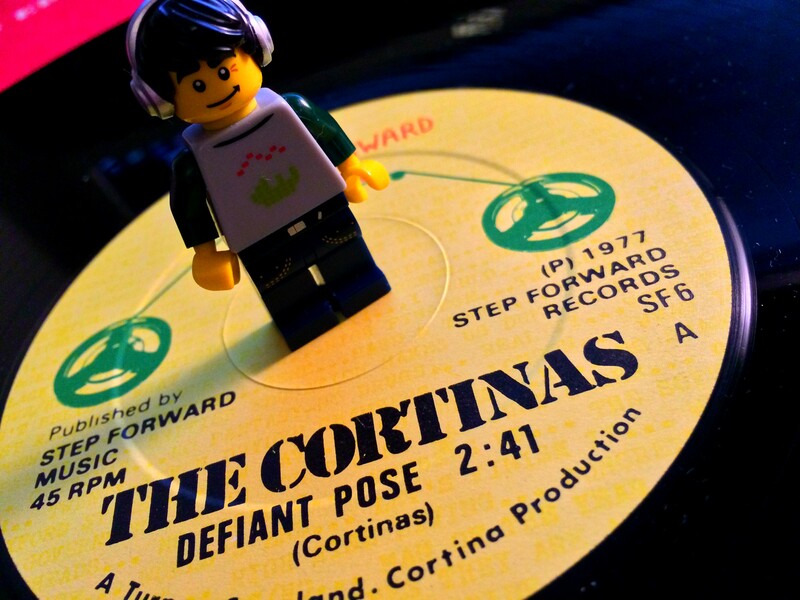 No, we’re really here to talk about the Cortinas’ storming second single Defiant Pose, one of those rare 12″ things from back in the day. It is funny that the 12″ was such a novelty back then that it still just has the same two tracks on, in the same form as the 7″ – I assume people were just happy to spend more cash for an extra 5″ of plastic. Today we’d have two live tracks (same stuff, slightly out of tune and sped up) and a 9 minute remix by someone irrelevant which takes the bits of the song you liked and then discards them. I’m just gutted I haven’t got the picture sleeve version that shows a lad throwing up behind his parents! Griping aside Defiant Pose is, umm defiant in the extreme. A hard-driving slice of ’77 punk, with more yobbish vocals than their previous single. Again the musicianship is slyly excellent and belies their tender years. Lyrics are a bit difficult but basically it’s a big long list of things they aren’t, won’t do/become and shouldn’t. I absolutely love this, it’s not quite up there with Saints This Perfect Day**, but we’re splitting hairs – it is excellent by any standards, it THUNDERS!! The B-side ‘Independence’ slows things down and loses my interest almost totally as a result. 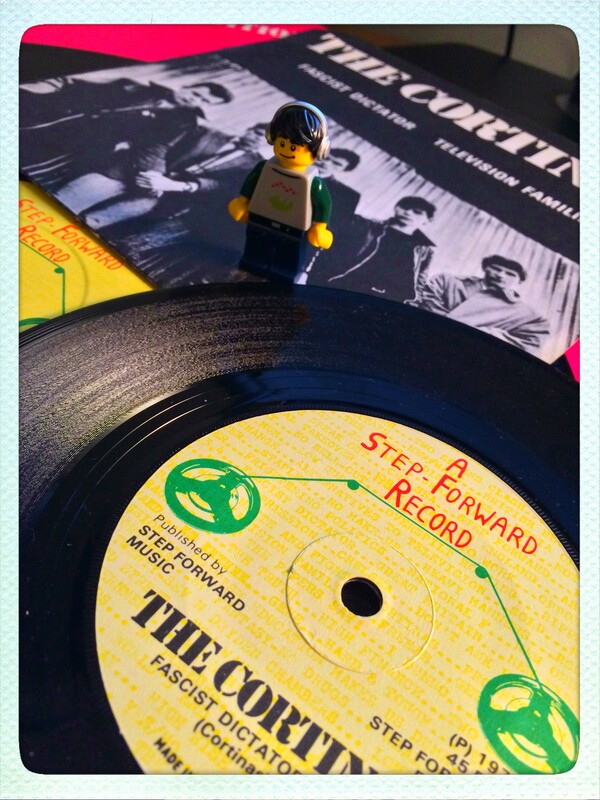 Just to show that everything in 1537-land is connected and cleverly thought out the Cortinas’ record label, Step Forward, was owned by Miles Copeland; someone’s brother apparently. 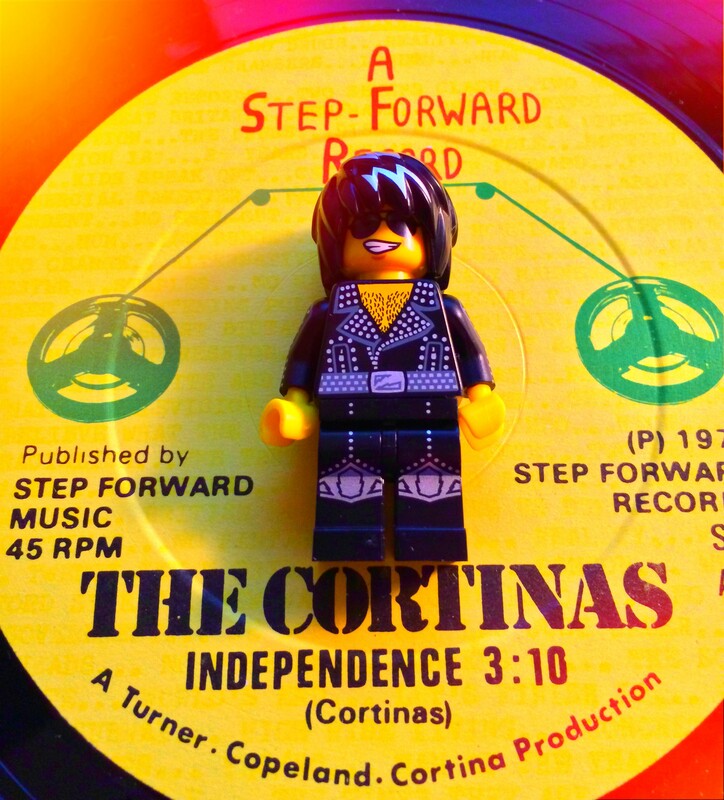 PS – check out these wonderful sites for more Cortinas, as well as all manner of other wonderful wonderfulnessisms: PunkyGibbon and Boredteenagers. No 1537-style nonsense there, just proper content. *already hints of the sophistication that became their eventual undoing by the time they were ready to release an LP and no-one liked them anymore. 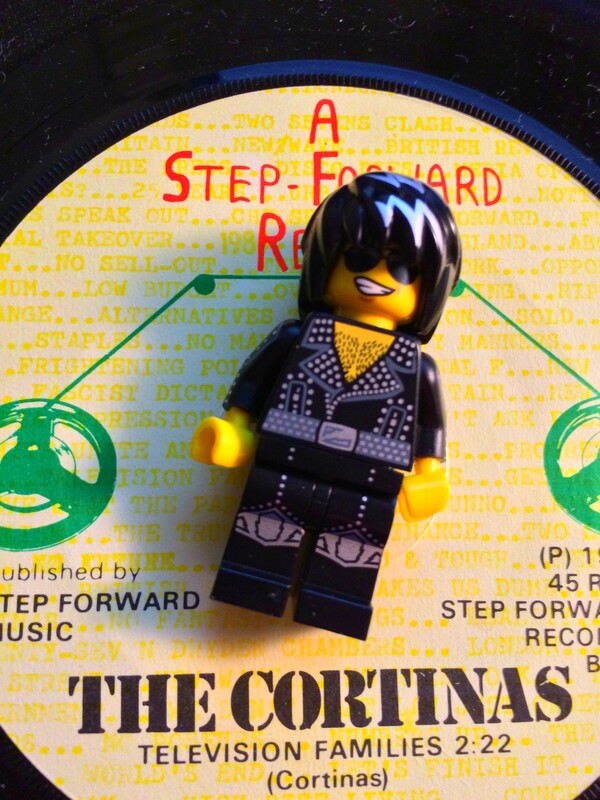 **my favourite punk 12″ single ever. ^basically imagine the Undertones going straight on to release The Sin Of Pride, without all the glorious stuff that preceded it. Like the punkditudiness of the C’s, but I’d rather an early bit of Sham 69. I think I always felt they’d end up all Billy Idol. (u know he’s my byword for pop-punk-poser-pox) The C’s were never that bad though! I’m considering the Fall’s Peel sessions box set thingy – but I know if I bought it that’s my listening spoken for, for the 12 months solid. Brilliant but dense dense dense. At the risk of losing all of my (probably non-existant) punk cred, I have never heard of this band but now I have (thanks to you) and I am on the case!! Not at all, very were very minor. (searches Google) the punk equivalent of Rimouski Oceanic? Ha! I think a Cortina is a dance, over here it was a cheap family car too. It used to be a restaurant – then takeout chain, but those are closing up. The take out chains are in rougher parts of town (yeah, Sudbury is pretty rough all around, but I’m talking even more sketchy). So, I haven’t had one in a long time. Mr. Toppers is another chain that started in Sudbury, and is now expanding in Ontario. Pretty decent too.